When we imagine lasers coming at our heads, becoming more attractive isn't the first result we have in mind. Frequently we imagine lasers like the Death Star from Star Wars or some industrial grade steel-cutting laser that will sever our necks from our bodies. Lasers, however, have an abundant array of properties that can do much more than destroy. Lasers heal, lasers fix, lasers adjust. As more than just a beam of concentrated laser, lasers possess the power to brighten our appearance and under the hands of a skilled technician dramatic alter the way that we look and feel. By earning an Associate's Degree in cosmetic laser technology, you will not only be part of the mere "cosmetic" field that modifies clients' appearances, but you will be at the cutting edge of therapy treatments that can assist patients with a diverse array of needs. This growing area of cosmetic science seeks to incorporate the best minds with the best technology to produce the very best results beyond what standard conventions can provide. The primary functions of using cosmetic laser technology are to remove body hair, rejuvenate skin, and to erase or reduce skin blemishes. Although it is possible to be trained on the specific use of cosmetic laser technology, such training normally comes as part of a larger dermatological program. Clients, if you can imagine, would prefer to have someone who knows about skin operating the equipment meant to improve it. This means that an Associate's Degree in cosmetic laser technology often includes information about a whole host of dermatology topics. This assures that you're not just given a tool, but you are instructed on the full implications of how to use it. 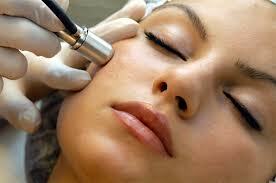 Topics include cosmetic, surgical, and pediatric dermatology, phototherapy, and laser surgery. The most common area of employment for a cosmetic laser technician is inside of a medical spa, working with patients with requests or doctor's charge to treat an area of skin. After grasping a diverse array of knowledge related to skin treatment, you'll understand exactly how to employ that knowledge to benefit the patients' needs you come across on a daily basis. Recreation spas and dermatological offices are also locations where those certified to work with cosmetic laser technology will find employment. Patients seek this kind of care to look better and feel better about themselves, and will often request simple procedures if they believe it can produce these results. Laser technology is relatively new, and therefore its entire range of applications, degree of sophistication, and application in various work environments still varies. Different areas of study where the specialized use of cosmetic laser technology applies include cutaneous studies that examine hair removal, acne, pigmented lesions, and bacteria and fungi that affect the skin. You will get more in-depth with dermatological studies that examine skin conditions, diagnosing tumors and infections, and learn how to determine which laser treatments when it comes to these conditions. Getting rid of unwanted vein exposures, removing or reducing wrinkles, and repairing sun damaged skin are all also components of cosmetic laser technology training. So you will be one of the highly desired cosmetic laser technicians who is certified to point lasers at people's faces and make them appear younger and more attractive. Even though this technology is relatively new and its precise role is still being determined in the medical and spa community, our culture is more than aware of the opportunities this type of skin care. Once you earn your Associate's Degree in cosmetic laser technology, you will have the education and ability to work in a variety of locations and help provide the public with what they want. No, they don't want a powerful laser pointed at them , they want to look better and feel better.